For those who live, breathe and taste wine daily, in our case for nearly four decades, it’s exciting to find unique wines that offer something very special. These are wines that tell a story about place, producer, and time, providing transparency and authenticity, while being delicious and memorable. These are important wines, whether for drinking now, or cellaring for the future. We call these Real Wines. We wanted to recognise these wines with more than a standard numerical score. We also wanted to bring our collective decades of international experience and expertise reviewing wines into our scoring system. In a world fixated on 90-point plus wines, we think it is critically important to communicate that an 88-point, $15 wine can also be a Real Wine worthy of your attention. It’s a designation that can be applied to all price points and aspirations without bias or expectation. Like terroir, there is no definitive definition of a Real Wine, and while it may be hard to explain, it is more about a wine finding us, than us finding it. It allows us to operate independently when we taste, yet gives us a tool to highlight a deserving wine that we really want you to know about. If you were to analyse all the Real Wines in the system at the end of 2019, I would hope the only pattern you discover are wines that stop and make you think, wines that stand out from the norm, and wines that we excitedly describe as electric. They could be farmed organically or biodynamically, sustainably or conventionally. They might see concrete or stainless or wood or amphorae, but none of that matters. In the end, if a wine receives a Real Wine designation at GOW, it has impressed and imprinted on us in a way very few do. Though we respect our professional colleagues and their reviews, we respect the wines more. 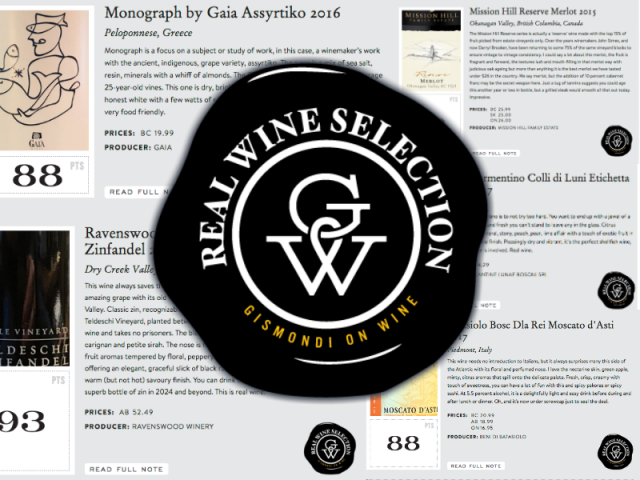 Our aim is that this helps special wines stand out amidst the exponentially noisy wine critique landscape. We aren’t giving up on points, but rather are going beyond points. To make it visually clearer to our readers, we’ve designed new seals for point scores, along with our Real Wine seals. In this way, it’s easy to quickly recognize wines that rise above the rest. We do not want people to feel intimidated by wine, which is why we have devoted our careers to communicating about wines, producers, and places. We hope you’ll be as excited to discover Real Wines as we are.